All the benefits of the Jollypop except smaller and lighter. They won't interfere with CPAP tubes or nasal cannulas if your baby is in the NICU. BUY 6 DUMMIES and we will send you 1 FREE. 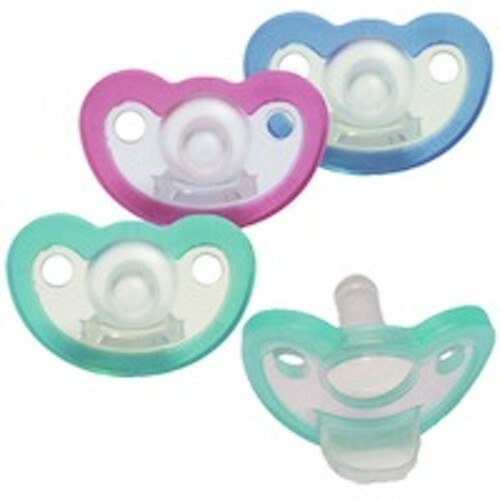 Please state your colour choice for the free dummy in the comments section when placing your order otherwise we will send you one of the same in your order.